Clean Reserve is making a choice. To change the way you experience fragrance. To create a collection that highlights your individuality. To use the purest raw ingredients. To actively engage in eco-conscious sustainability. To remove the complexity, the clutter, the heaviness, so that all you’re left with is Clean. Clean Reserve are pioneers in eco-conscious fragrance, using sustainably sourced materials and renewable resources whenever possible. Each fragrance is manufactured in a facility powered by 100% solar energy, and is packaged in a recyclable glass bottle. The oak caps are sourced from Spain, and made of wood from certified sustainably managed forests. Handmade cartons are wrapped in cellophane derived from corn, a widely accessible and renewable natural resource. After use, the cellophane can be composted and the material will break down. Each Clean Reserve fragrance can stand alone or be layered together for a signature scent that is completely your own. Add an element of rich, musky woods to any other Clean Reserve fragrance by layering with Sueded Oud, or combine Rain and Skin for a floral yet watery blend. Each full-size Clean Reserve fragrance purchased through The Scent Room comes with a matching sample vial. Simply try the fragrance vial before opening the full size perfume, and if you don’t love it for any reason, return the unopened full size fragrance for free. 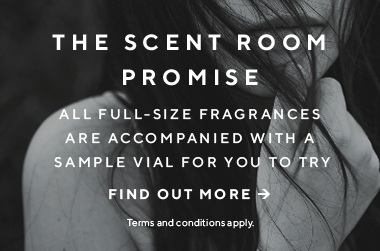 For more information on the Scent Room’s risk-free return policy, please see here. Please note that only full-size fragrances over 30ml per bottle are eligible. Unfortunately, Clean Reserve fragrances are available only for shipping within Australia. I can see the allure of this perfume. It's a pleasant musky scent. Personally I didn't find it too interesting since I like a bit of complexity in my perfumes. Faded pretty quickly on me too. I bought this specifically looking for a parfum with minimal nasty ingredients. I am so pleasantly surprised! The fragrance itself is so fresh and delightful. My husband loves it on his own skin too, and we have both had multiple compliments at work. I recommended it to my mother, who lives a sustainable life, and she is going to purchase the travel set to sample all scents. I love this scent but am with a lot of other reviewers that the scent dissipates too quickly. Clean and fresh and not too much citrus. It pairs well with the CLEAN Ultimate.